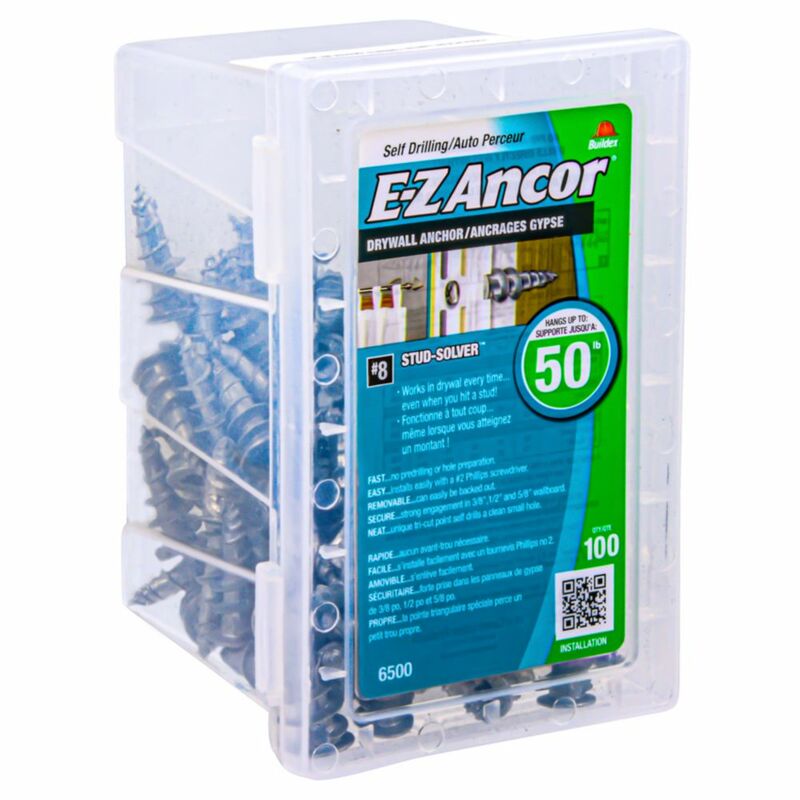 ONE multi-purpose screws are designed for use with all your interior and exterior projects in all materials and seasons. Screws are engineered with a High-Low Twin Lead Thread with Saw Tooth Fluted design for increased strength, holding power and install speed. Complete range of multi materials fasteners in all sizes and head types. Joint Connector bolts are designed to connect furniture or woodworking components at right angles or parallel. Used with Cap Nuts, Inserts, cross dowels or tee nuts. High Hex Washers heads provide excellent driver bit control and self tapping threads provide fast efficient steel fastening. Rubber Neoprene Washer system provides a waterproof, no leak installation for siding or roofing. E-Z Ancors Zinc The original!!!! Fast and easy self-drilling anchors.